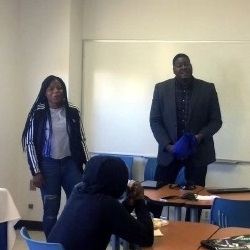 Every third Friday of the month, Hampton University’s PREM students participate in a CHROME (Cooperating Hampton Roads Organizations for Minorities in Engineering) outreach program at READY Christian Academy. READY which stands for Reaching Educationally Aspiring Dynamic Youth (READY) has an academic emphasis on science, technology, engineering, mathematics and the arts (STEMA), which makes them a great fit for PREM outreach. "Transitioning from a postdoctoral researcher, where my responsibilities were solely on research and mentoring a small group of undergraduates, to a career in academia as an assistant professor, where I now teach large groups of students and multiple classes has been a unique, challenging, yet a gratifying experience." - Dr. Stefan Cooper, Jr. The seminar served to provide a synopsis of Dr. Cooper's first year as an assistant professor in rural Mississippi at Alcorn State University, outlining his major challenges and accomplishments and ending with future goals. Dr. Cooper previously worked for the Hampton-Brandeis Universities’ PREM as a Path-to-Professorship (PTP) fellow and focused on developing photosensitive micelles for drug delivery applications along with being integrated into the program’s future faculty initiative. 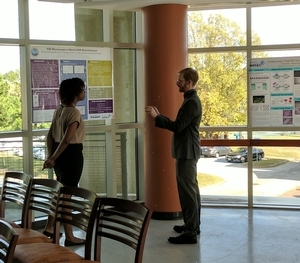 Hampton University researchers and the Virginia Aquarium & Marine Science Center are working together to develop best practices to help non-scientists understand highly technical scientific techniques. The researches recently presented demonstrations to visitors at the Virginia Aquarium & Marine Science Center in Virginia Beach, VA.
Scientists from Hampton University reached over 1,100 middle and high school students and their parents in their quest to increase the number of underrepresented people in the STEM professions. 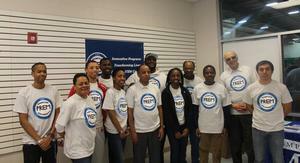 The event was co-sponsored with the Technique Track Club and held during the AAU track meet at the Boo Williams Sportsplex on Sunday, Feb. 28. The students had a chance to do hands-on science experiments with PREM researches Dr. Stefan Cooper and Dr. Marcos Guerrero Munoz, the first scientists hired under the PREM grant and who are being trained to become college science professors. Scientists from Hampton University are working to increase the number of African-American and female scientists from Hampton Roads by talking with students about careers in STEM. 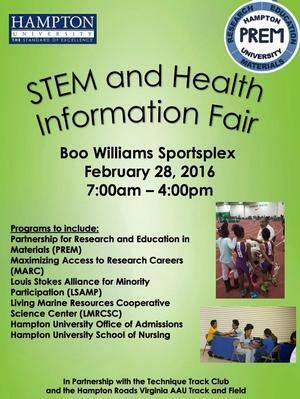 On Feb. 28, HU scientists will hold information sessions at the STEM and Health Information Fair at the Boo Williams Sportsplex during the AAU track meet from 7 am - 4 pm. 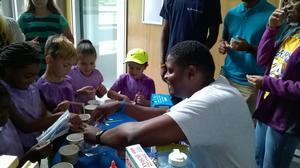 The event is being held in conjunction with Hampton Roads Virginia AAU Track and Field and the Technique Track Club; and includes hand-on demonstrations for kids. 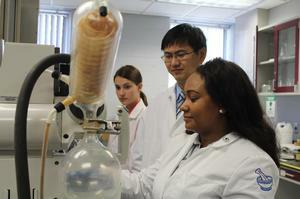 Hampton University has been awarded $3 million from the National Science Foundation to bolster HU faculty materials science research activities. The grant will serve as a catalyst for the recruitment and retention of talented African-American and female students who pursue research careers in materials science and engineering.